The dropping enrollment of children in government schools has been a growing concern in Karnataka. News about how there has been a growing number of zero enrolment schools in Karnataka have become commonplace. Every year, thousands of teachers step out to enrol new children in government schools, but that has not been enough. There are still thousands of children who aren't making it to school. Going door to door, to try and make every child in every village go to school are some heroes — who work quietly and without much support. And boy have they turned things around or what! The education department has been able to save some of the schools from shutting down by increasing the strength — one student at a time. Tulsi Bai is among those people who have been motivating children to join school and access free education. A 25-year-old from Hoskote, on the outskirts of Bengaluru, a few years ago Tulsi completed her second PU and could not study further because of family constraints. She was also told by her parents that there was no need for her to go out and earn a living. That didn't stop her one bit. Two years ago, she came across an advertisement that said that the Association For Promoting Social Action (APSA) was looking for someone who could work on the field to enrol children in government schools. "Though I had no degree, I was interested in working with children. APSA trained us to talk to people. From then, there has been no looking back. 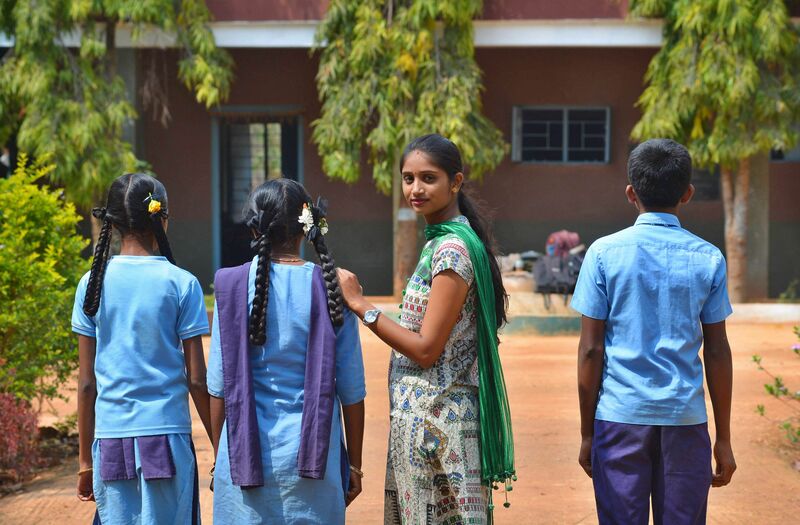 This is my third year, and now, I am in charge of two schools in the Hoskote region. While one is a higher primary school, another is a high school," she says and explains her work day, "Every day, I go through the attendance register and see if any child is absent. We then visit them, find out why and counsel them and their parents to check if there are any family issues, whether they're finding the subjects tough or if any student is bullying them. All this is just to ensure that they don't become dropouts." A large part of the job is reaching out to the community and ensuring they understand how things work exactly, "From March to May, we go door to door, campaigning in villages and surrounding regions. In some cases, the parents get angry and scold us because their child is an earning member and education is not important for them. We make them understand that education, school uniform, books, shoes, school bag and food come for free. We tell them the benefits of being educated and give various examples to motivate them," she explains. The results are tangible. And very evident. She has been able to enrol 15 children in a primary school last year. In another world, 28-year-old Sunil Yadav, could have had a comfy teaching job. Instead, the BEd graduate works with an NGO called Sikshana in Bengaluru. Not that he did not get a job offer from private institutions. As soon as he completed his BEd in 2011, he got a job offer with a good pay packet, but he rejected it as he wanted to work with government schools. "How many graduates get an opportunity to work with government schools and colleges? I was fortunate to get it through an NGO. Right now, I work with 104 government schools in Bengaluru to increase the enrollment," he explains. Part of the job also requires them to work like truant officers and psychologists rolled into one, "We have to work throughout the year to see that there are no dropouts and it is the biggest challenge for people like me. In some cases, children tell their parents that they are going to school but they remain absent. We don't inform their parents to avoid them getting scolded or beaten. It takes time but we are very soft spoken with such kids so that they come back to school," he explains. Some of the stories are heartwarming. At a time when the government is on the verge of shutting down several schools due to lack of strength, Sunil and his team members have been working hard to bring over 100 children to a school in Yengunte. He recalls, "We approached over 60 houses and told them about the freebies that the government is providing. It so happened that some students from private schools also joined the government school for which we had campaigned. Later, the headmaster thanked us for bringing a good number of students and saving the school from shutting down." It is not just the campaigns and freebies that play an important role in the enrolment of children. At the rural level, it is programmes like the Makkala Grama Sabha that are conducted every year that can make a difference. And it's all thanks to one man from Bellary who worked hard to see that the programme became a success. 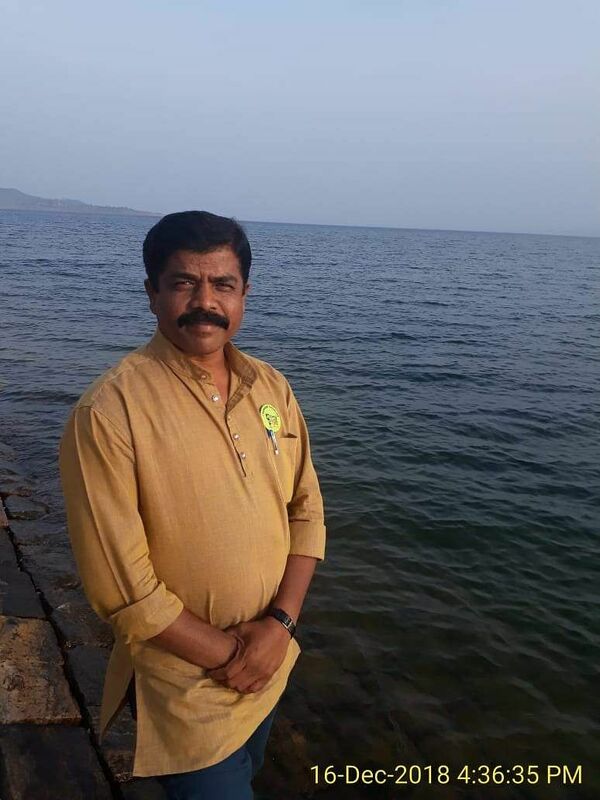 Raghvendra HC, who has a Master's Degree in Sociology and initially started his work by campaigning for enrollment in schools, has really put his heart and soul into it. His 15 years of social work have geared him towards making the Makkala Grama Sabha a working model. "It was not an easy task for me to convince the education department officials and local leaders to conduct this programme. According to Section 58, subclause 5, all the Grama Panchayats are supposed to see that the children in their village attend schools regularly. A separate budget should be reserved for their development. Unfortunately, no such thing happened until 2006. None of the Gram Panchayats had data on the number of children studying in primary schools, high schools or even Anganwadis. I wrote several letters to the district administration and education department officials that Makkala Grama Sabhas should take place and separate action plans and objectives should be drawn," he explains. Finally, in 2007, it worked. Children-friendly grama sabhas are now conducted every year on November 14 in Bellary. Last year, out of 206 schools in different Gram Panchayats, 192 participated in this meeting. "We felicitate those children whose performance is outstanding in academics and other co-curricular activities. Even teachers are felicitated for their hard work and their teaching methods. This way, we keep them happy and attached to our schools," he says happily. Like Raghavendra, even T Venkatesh from Ittasandra, a village on the outskirts of Bengaluru has been working towards implementing this programme in regions like Kolar, Hoskote and so on. Due to various reasons, the meetings were never conducted. But, he has not lost hope. 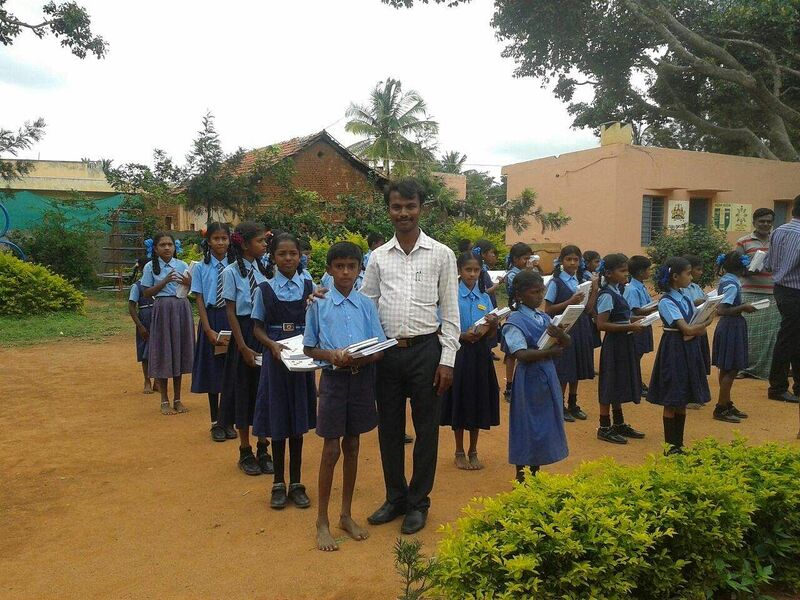 Last year, Venkatesh enrolled 68 children in government schools and aims to build on that number. "If the government provides proper infrastructure and separate subject teachers, then parents will obviously send their children to government schools instead of private ones. The state government should wake up and appoint teachers to fulfil the shortage. This can also bring good results during the SSLC board exams," he adds. Venkatesh also has a troupe that travels to different places to perform folk dance and songs. Recently, they were invited to perform in Singapore. "The money that we get from this performance is spent on developmental programmes for the kids," says Venkatesh.